Dell SE2417HG is a full HD monitor that is both reliable and sturdy and has been designed keeping in mind the gaming freaks. With not so premium specs, the monitor provides a fair performance while playing games and watching movies. With some glitches here and there especially the imaging defects, the monitor will let you have second thoughts before purchasing, but overlooking the attractive price tag will make people bring the 1080p LCD display home for fulfilling the gaming and entertainment needs. Dell SE2417HG is a full HD monitor which has been designed especially for the gamers. The monitor is capable of providing top-notch performance using it with either PC or gaming consoles. Though the specs of Dell SE2417HG are not as fine as other models in the series, it offers decent graphics and visuals as it is equipped with a full HD screen. Being not on the pricier side, Dell SE2417HG is the most demanding monitor among the gamers, and Its specs justify its price. It is one of the best gaming monitors under $200 available in the market. Dell SE2417HG is one of the best DELL 24” monitors. It has 160° as the vertical viewing angle and 170° as the horizontal viewing angle. You can also choose a 24″ 1080p monitor with an IPS panel that will provide you wider viewing angles and a variety of vivid colors but will cost you more. If you are looking forward to buying a Gaming monitor, then Dell SE2417HG can turn out to be the best option. In this guide, we are going to give Dell SE2417HG review in detail. But before that have a look at its following merits and demerits. Dell SE2417HG is an affordable gaming monitor with faster response time which is best suited for gamers as it is equipped with a 24” 1080p display. The monitor besides being low on price provides decent image quality and delivers solid performance while gaming. 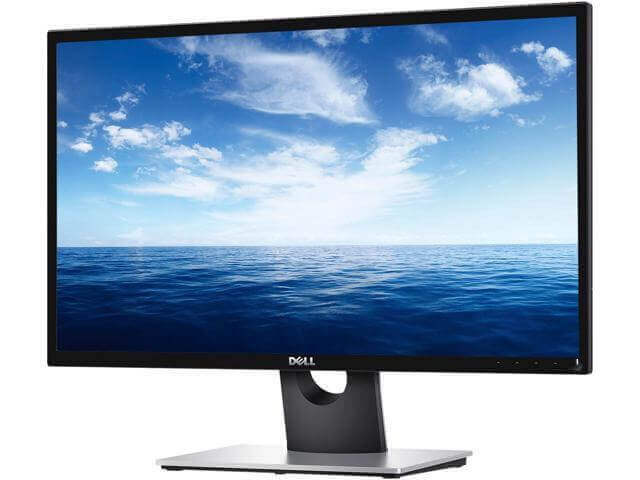 Though Dell SE2417HG is a decent monitor, when it comes to performance, there are numerous options available in the market which are better than this monitor. Talking about the design of the Dell SE2417HG, it has a black and grey theme which is pretty much similar to the other products manufactured by the Dell. The good thing about the design is that it is pretty much sleek and compact which makes it fit comfortably on a standard gaming desk or even on a smaller one. As the face of the monitor has thick bezels, it provides only 83% of viewability on the screen, which is the sad part of the design. Being an affordable monitor, do not expect much from Dell SE2417HG in terms of features and specs. Though the build quality of the monitor is good, it has limited functionalities, and you can tilt your full HD monitor as it is the only adjustment option available. Talking about the good part though, you can use the monitor as a plasma or an LCD display because it comes equipped with a removable aluminum riser stand. Besides this, Dell SE2417HG comes equipped with five monitor hotkeys that can be used to switch between different settings of the monitor. With the hotkeys, users can switch to picture presets and can adjust brightness/contrast in a spur of a moment. Users can also navigate the On-Screen Display menu, and turn the monitor on/off with the help of the hotkeys. Users can also find multiple settings over the On-Screen Display menu of the Dell SE2417HG. These settings include hue, saturation, color format (RGB and YPbPr), aspect ratio (16:9, 4:3, and 5:4), sharpness, and Response Time (regular and fast). Besides having limited features and functionalities, Dell SE2417HG is also low on connectivity options. Being a gaming monitor, it is equipped with dual HDMI 1.4 slots to connect it to a PC and an best gaming monitors under $200 like Xbox or PS4. One thing that keeps missing in the monitor is the built-in speaker for the audio needs. Still, it has 3.5mm jack for connecting speakers or earplugs. Dell SE2417HGis available at an affordable price range and it is one of the best gaming monitors under $200 available in the market. Though it is a decent monitor for the price it comes for, there are several other monitors available in the market under $100 that are much better than this monitor such as Acer SB220Q. The latter comes equipped with IPS panel and has vibrant colors. If you want a better model than this Dell 24″ monitor, you can also go with HP VH240 as it comes equipped with specific gaming features too. If you want to check out the price of Dell SE2417HG. With a contrast ratio of 1000:1, you can achieve a max brightness of 300cd/m2. Talking about the image quality, Delta E average of the LED display is around 1.5 and 96% sRGB coverage. The contrast of the image is 800:1 which is quite acceptable for the price it comes with. Dell SE2417HG has been designed to perform well when it comes to watching movies and normal gaming. The 1080p screen of the monitor has enough vibrancy to enjoy any game that is available in the market. The monitor won’t make you realize that you lack anything unless you will compare it with another model which is equipped with an IPS. best gaming monitors under $200 stayed at 2.2 when the brightness level of the screen was below 50%. The only worse part that we noticed in the performance while testing it against titles was the unnoticeable blurring, though we did not notice the imaging defects much during the performance tests. It means that defects were unnoticeable or visible once a while. It is for sure that you won’t face issues while playing slow-paced games, but when it comes to racing games, you will notice the imaging defects numerous times. Dell SE2417HG was a bit disappointing due to the imaging defects that it had during the tests. Such kind of a thing is not bearable when it comes to a monitor that is specifically designed for gaming because defects can affect the gaming experience of players. Though the defects appeared once in a while, most of the users won’t notice these unless they have used premium models available in the market. We tested Dell SE2417HG against the most popular game PUBG. While playing the game, we noted that the control input to screen transition was accurate. But what we have to say after playing the game is if the TN module were sufficient throughout the performance, we would have highly recommended the product for the gamers who are looking for a budget-friendly LED display. The only positive thing that we noted during the performance test was the lag time of 4ms that delivered .00040 seconds of delay. 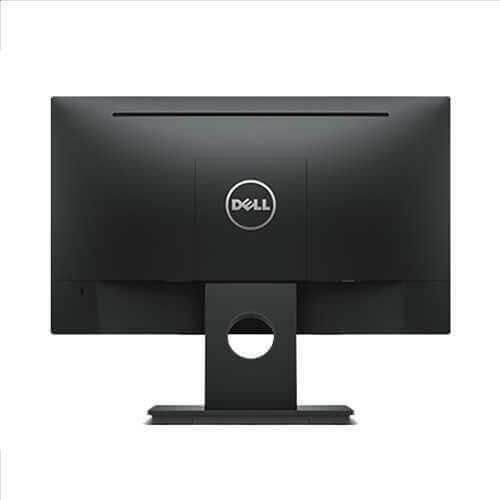 Dell has also manufactured SE2417HG keeping in mind the environmental conditions and has tried to keep the monitor environmental-friendly when it comes on nature. It is capable enough to meet all the regulatory standards of the environment including Energy Star, EPEAT GOLD, WEEE, China Energy Label, ERP Standards, TCO certified displays, CEL, Korea E-Standby. Dell is offering a three-year advanced exchange service on its SE2417HG. The advanced exchange service is quite useful when the replacement of the unit or its parts becomes necessary. In such situations, the product reaches you within next business day till the time you are tied to a three-year limited hardware warranty. Wrapping up the Dell SE2417HG review, we conclude that it is a reliable product if you are looking for an affordable gaming monitor. But slow pixel transition of the monitor will make you give second thoughts to the device before bringing it home. Though most of the gamers won’t notice the imaging defects, the users who have earlier put their hands over premium models from Dell or other brands may see the differences while playing most of the gaming titles. Apart from the imaging defect, everything else seems fair and reliable in terms of latency and color fidelity; we will recommend the monitor as a reasonable secondary or replacement monitor. If you are looking for a monitor that do not have such limitations that Dell SE2417HG has and are ready to spend a few more dollars, then you can go with BenQ GL2580H.